Frontcover is a brand I've admired from afar for some time but been a little late to the party in terms of actually trying it. I love the magazine themed packaging but was a little nervous that it would be a case of style over substance. Having finally gotten around to trying some of the baked eyeshadows, I'm pleased to say that I'm seriously impressed. Although I like the idea of the magazine themed packaging enclosing a book of numerous eyeshadows, it's not the most practical for option for everyone- whether you're a girl who's constantly on the go or if you find that pre-selected palettes always contain a couple of shades you will never use. 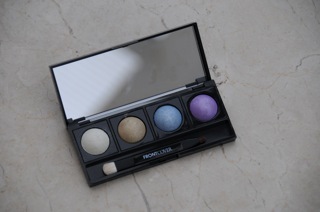 Step forward their new empty compacts! For Spring Summer, the eyeshadows will be available to buy individually for the first time so that you can tailor make your very own eyeshadow palette. Available from Boots, you simply purchase an empty sleek black compact, which contains a double ended applicator and features a generous mirror, then select four eyeshadows which securely click into place. They can easily be swapped around to suit the occasion. 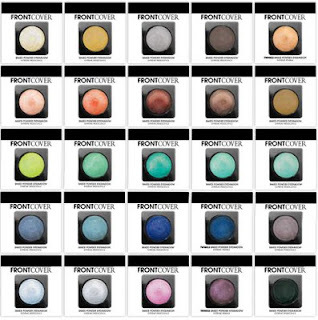 It's such a clever little idea and I feel that the prices offer fantastic value for money with shadows at £4 each, the empty compact for £5 or a special price of £15 when you buy an entire set (4 shadows and a compact). My only criticism is that I'd have liked the magazine design to be carried onto the empty compact as I feel this is such an integral part of the brand's identity. 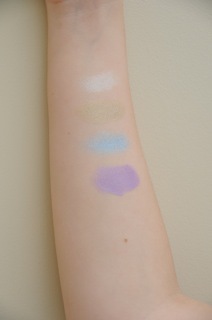 In the swatches, Cloud Dance is applied dry, the remainder are wet (Sunray appears to have a slight green tinge in the photo which I didn't notice in "real life"). Bougainvillea was my favourite of the shadows, creating a very pretty look when applied over the socket and taken just under the bottom lash line. 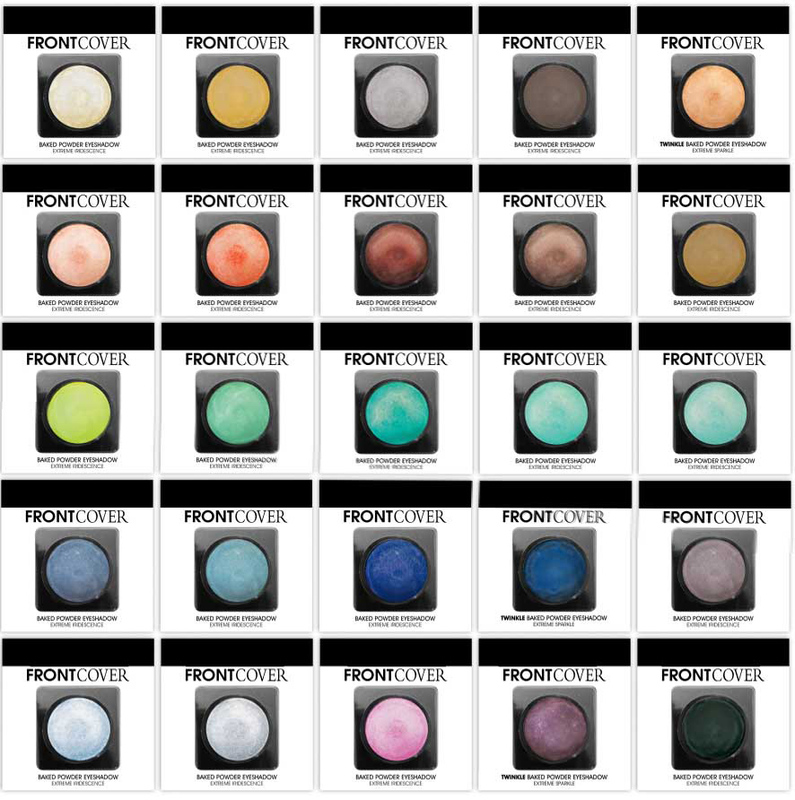 The shadows offer good pigmentation and I liked that this can be intensified by applying wet. I'm particularly impressed with the lasting power of the eyeshadows. Thumbs up!